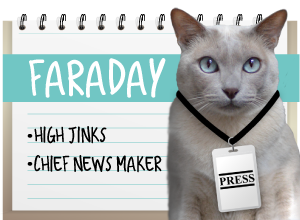 A Tonk's Tail... err, Tale...: We have a winnah! 'Toon Tuesdays will return next week! 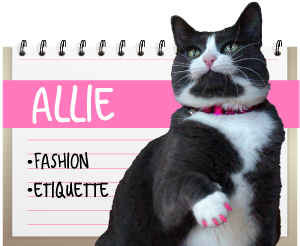 We want to thank you all for being a part of Allie's birthday commentathon. We loved seeing how many comments you left! The commentathon had ended and we've tallied up the results. 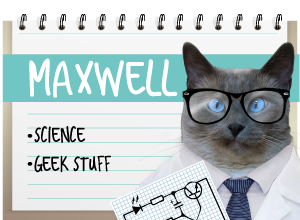 Your comments will donate three dozen large cans of Merrick Purrfect Bistro to the cats at Great Plains - that's $60 worth! We know the kitties at Great Plains SPCA will love having all this yummy food to try out! And thanks again to Merrick Pet Care for so generously offering one lucky reader the chance to sample a case of Purrfect Bistro for themselves. We hope Princeton, Precious, Prudence and Preslee love it as much as we do! As you can see, somekitty takes his paté very seriously. Yes, Faraday, I'll go out and buy you some more tomorrow morning. You didn't completely run out while I was away. Enough already with the accusing look. Sheesh. Wow, our concats to Angel Prancer Pie! Looks like it will be a fun lunch over there. We hope Skeeter and LC get a bite. Hurrah for the donation, and congrats to the kitties at angel Prancer Pie's! 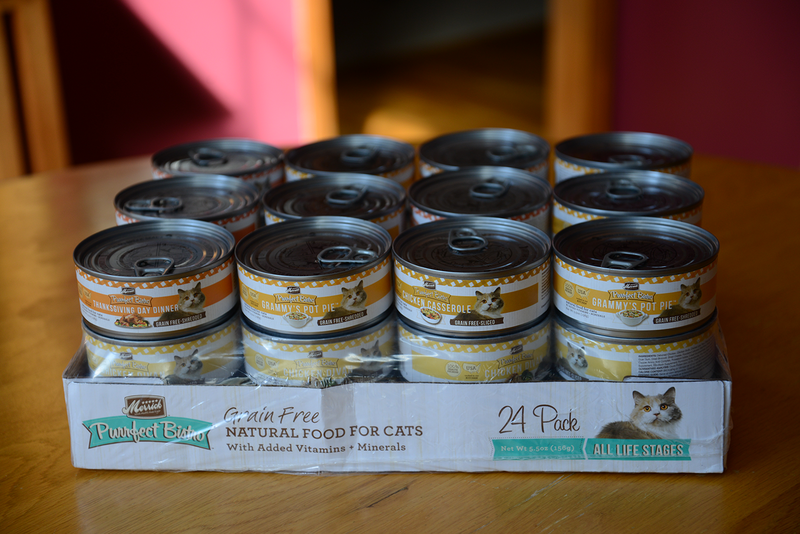 Congratulations to Angel Prancer Pie and the darling shelter kitties :) They are going to have some happy tummies! Well done you and congratulations to the winners. Have a terrific Tuesday. ConCats to the winner! So glad the commentathon was such a success. Hope you had the best birthday ever, Allie! Hooray for Princeton, Precious, Prudence and Preslee! And even bigger hoorays for the lucky kitties at Great Plains SPCA. Glad you had such a wonderful birthday celebration, sweet Allie. That is totally pawsome! Concat to all the Prancer Pies!!!! Congratulations to the winner! This was a great giveaway! Congratulations to Great Plains SPCA, and to Princeton, Precious, Prudence and Preslee! Congratulations to Prancer Pie and the Great Plains cats- that is wonderful. Concatulations to that deserving group! Concats to the kitties at Angel prancer Pie's. That is a great donation for Great Plains. Yay for Prancer Pie and for the shelter kitties who will be getting lots of yummy, healthy food. Congrats to the winners! And we know the shelter kitties will be very happy with your food donation. Concatulations to Princton, Precious, Prudence and Presslee!! And to the cats at Great Plains! Mes sure they will love their grain free pate!!! Kisses to all if yous! What a great donation!! And concats to the winners!! That is WONDERFUL!!! Concats to The 4 P's they are a wonderful group :) So excited for the kitties at Great Plains!!!! You all are so generous! We are soo excited! Thank you so much for the giveaway. 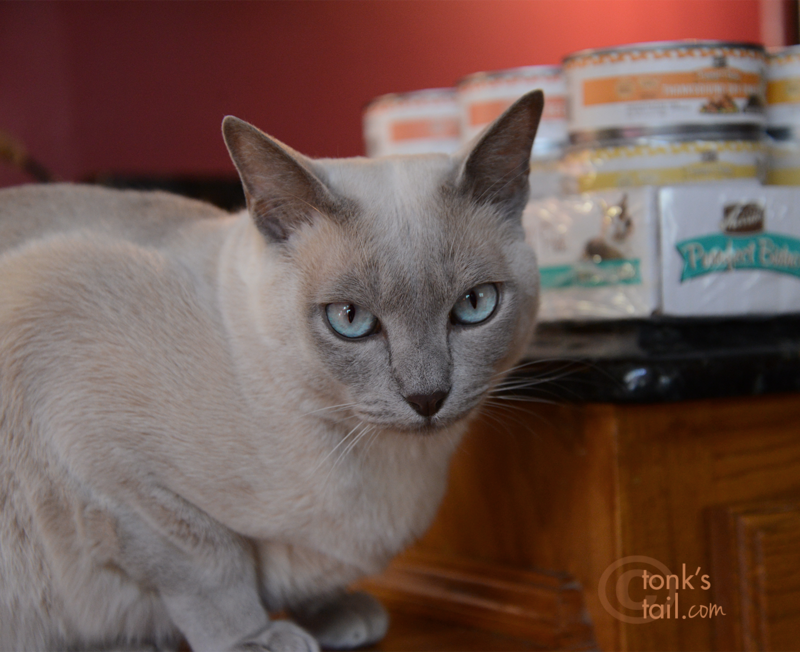 Merrick is a pawsome company and all of us love their food. Concats to the Great Plains kittehz, too! WooHoo!!! Congrats to the lucky winner! Those kitties are going to love it! .... and BIG WooHoo's to the Great Plains kitties!!! What a wonderful donation. BIG ConCATulations to Angel Prancer Pie ! You'd better wait until Faraday is asleep before trying to ship those cans!! Congratulations for the winner and your shelter!